This week, we hosted our 3rd feedfeed meetup, this time in the Windy City! Our own @kevmasse packed his things and headed to Chicago to meet up with co-hosts @nocrumbsleft & @the.korean.vegan, and more than 20 members from the feedfeed community for a day of food, friends and exploring. First, the group met at the Green City Market at Lincoln Park, where they browsed gorgeous local produce and homemade goods. 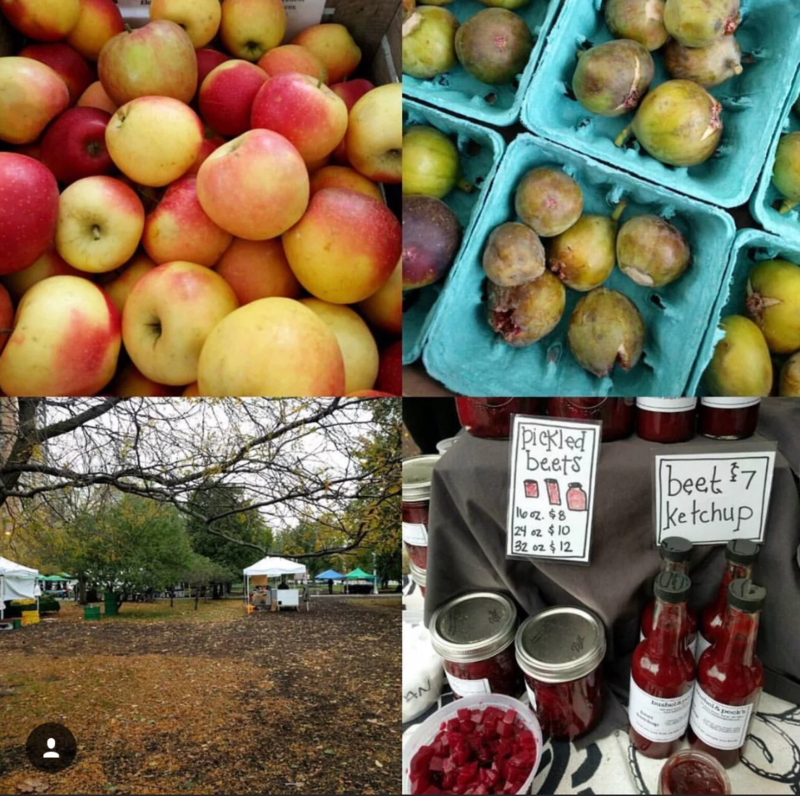 At the market, they found local, seasonal apples, figs, handmade beet ketchup, and plenty of fall foliage! We love @the.korean.vegan's gorgeous shot of this Black Aztec Corn. A behind-the-scenes shot of Fire 'N Ice Radishes, a crunchy, mild radish with a vibrant red top and white tip. After spending some time at the market, the group headed to the Restoration Hardware Courtyard for some food and chat. Members of the Chicago feedfeed community getting to know one another and warming up with some coffee. Of course, it wouldn't be a group of Chicago's finest foodies without a food photo. Donuts all around! Thanks so much to everyone that participated in our most recent feedfeed meetup, including @alisha_sommer, @chicagofoodauthority, @nutritionhappens, @cheflorenzoboni, @thekittchen, @bakerbettie, @leahgnolan, @flavcity, @roxanaskitchen, @blossomtostem, @gracefullysam, @windycitydinnerfairy, @honeyandbirch, @littleislandstudios, @chicagofooddork, @chicagofoodscene, @mychicagokitchen, @lakeshore_lady, @kenzi.marsss & more! If you'd like to host an Instameet in your city, be sure to contact us!